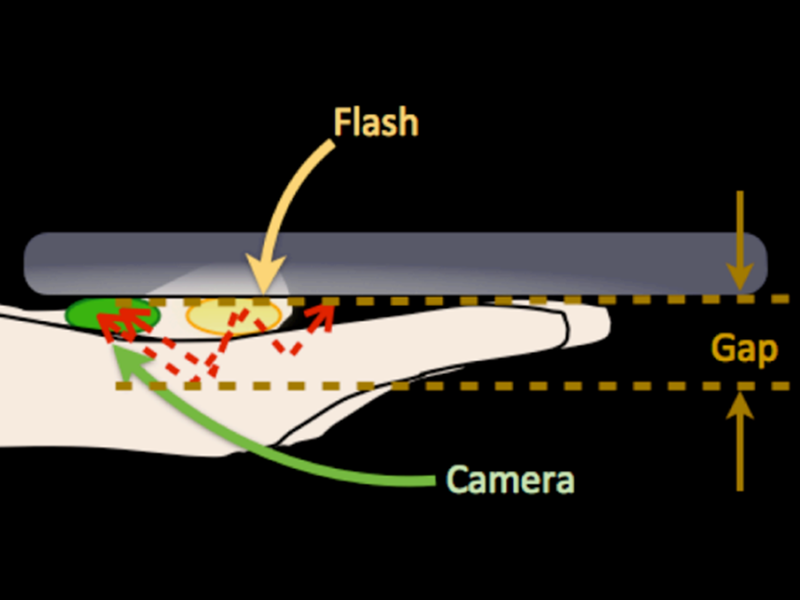 This paper proposes a method to detect pressure asserted on a mobile phone by utilizing the back camera and flash on the phone. There is a gap between the palm and camera when the phone is placed on the palm. This allows the light from the flashlight to be reflected to the camera. However, when pressure is applied on the phone, the gap will reduce, reducing the brightness captured by the camera. This phenomenon is applied to detect two gestures: pressure applied on the screen and pressure applied when user squeezes the phone. We also conducted an experiment to detect the change in brightness level depending on the amount of force asserted on the phone when it is placed in two positions: parallel to the palm and perpendicular to the palm. The results show that when the force increases, the brightness level decreases. Using the phones ability to detect fluctuations in brightness, various pressure interaction applications such as for gaming purposes may be developed.